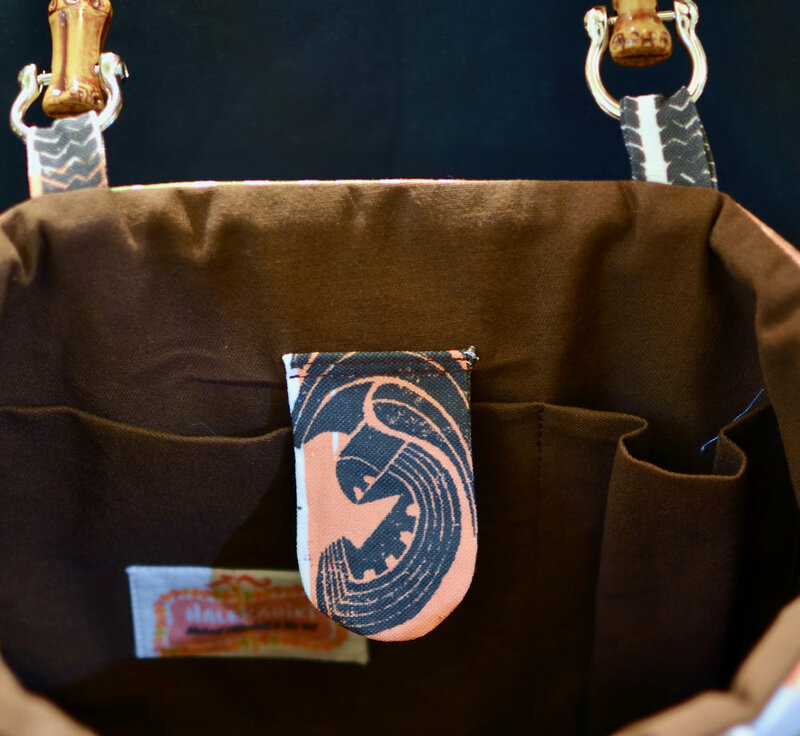 Cotton handbag with bamboo handles. Print by Eric October. Height 8 1/4 inches, width 10 inches, depth 3 inches. Magnetic snap closure with interior pocket. Exterior fabric is linen cotton canvas by Spoonflower. Interior fabric is cotton. 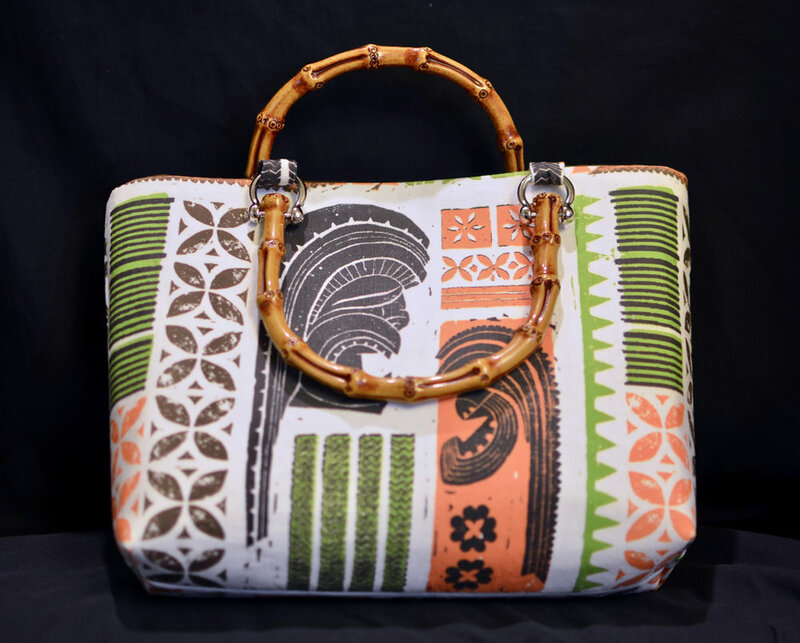 Cotton handbag with faux (plastic) bamboo handles. Print by Michael Uhlenkott. Height 8 1/4 inches, width 10 inches, depth 3 inches. Magnetic snap closure with interior pocket. Exterior fabric is linen cotton canvas by Spoonflower. All handbags are available on my Etsy store. Print by Eric October on Spoonflower.